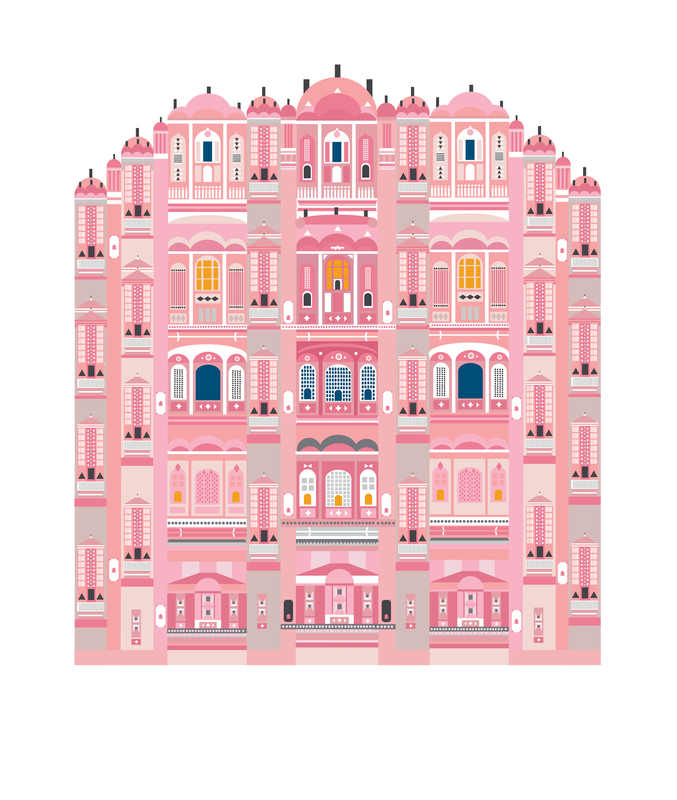 Illustration inspired by the Hawa Mahal palace in Jaipur, India. It was built in 1799. The building does not have any rooms, just a lot of windows with a big hallway behind it.